Sonic Talks in Latest ‘Ralph Breaks The Internet’ Trailer – Watch Here! It appears a new trailer for the film Ralph Breaks the Internet has hit the airwaves in the US last night, and with it a brief clip of Sonic the Hedgehog’s cameo in the hotly-anticipated Wreck-It Ralph sequel. It’s a very short clip, but – spoiler alert – he talks! Continue reading Sonic Talks in Latest ‘Ralph Breaks The Internet’ Trailer – Watch Here! Ah, the Sonic Storybook series – a spinoff that never lived past Sonic and the Secret Rings, which brought the Blue Blur to the many tales of the Arabian Nights, and Sonic and the Black Knight, based on the old legends of King Arthur. The concept of mashing together Sonic with age-old folklore was a fun one that could’ve led to other game ideas: say, Sonic finding the lost city of Atlantis, or facing the Greek hero Hercules, or maybe even going through the pages of Hans Christian Andersen’s The Snow Queen. What’s with that specific last example, you may ask? This week’s Mash-Up Monday, being “Shadow and the Snow Queen”—a combination of “Let it Go” from Disney’s Frozen, “Snow Halation” from the Love Live! anime, snippets of Crush 40’s “I Am All of Me” from Shadow the Hedgehog, and bits of “Rooftop Run” from Sonic Unleashed—based on a very real crossover idea that spawned between the Sonic and Frozen fandoms. Check it out below, and read on for the Sonic Storybook Series photoshop contest! UK: Wreck-It Ralph Out Now on DVD and Blu-Ray! With the recent announcement of Sonic Lost World, you’d be forgiven for forgetting that a certain film starring a certain blue blur was imminently due to be released for home entertainment – but forget no more! As we previously reported, the videogame-inspired box-office sensation Wreck-It Ralph is now available on DVD, Blu-Ray, and digital download in the UK so you can watch it again and again and again at your own leisure! Featuring cameos from numerous videogame characters including Sonic the Hedgehog and Dr. Eggman, Wreck-It Ralph is a true love letter to gamers young and old, as well as being an extremely well made film in general. You don’t have to be a gamer to enjoy this – but it certainly helps! All versions come with their own specific extras, including the award-winning Paperman short that preceded the feature presentation in cinemas. Will you be picking up Wreck-It Ralph on DVD/Blu-Ray/digital download? Let us know in the comments! 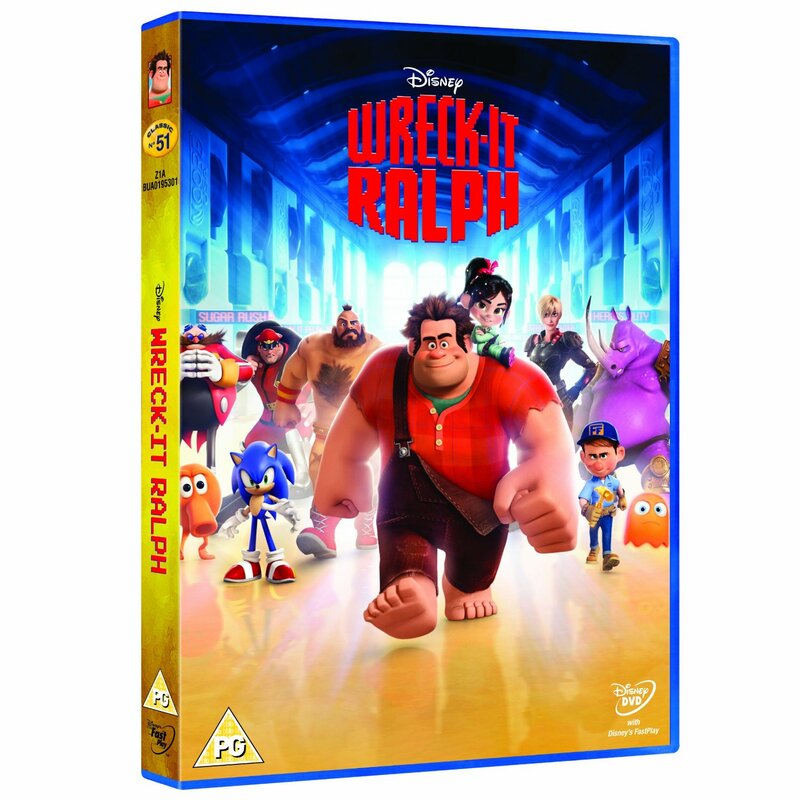 Wreck-It Ralph UK DVD and Blu-Ray Coming in June! In the same “better late than never” fashion as the film itself, the box office smash (pun fully intended) Wreck-It Ralph will be making its way onto DVD, Blu-Ray, and digital download in the UK on Monday 3rd June. This comes almost four months after the film’s theatrical release, and about three months after the DVD/Blu-Ray release in the US which took place at the beginning of March. 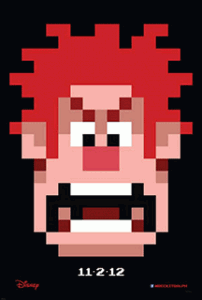 Continue reading Wreck-It Ralph UK DVD and Blu-Ray Coming in June! 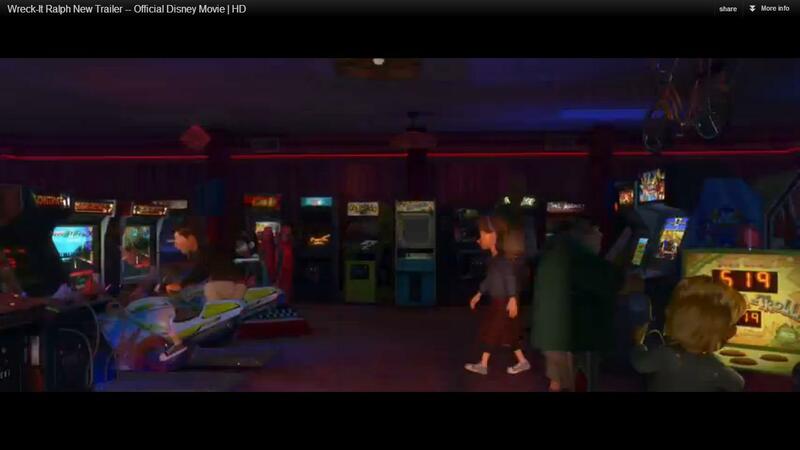 More Sonic in Wreck-It Ralph? Looks like the blue blur might be in for more than just a PSA cameo. 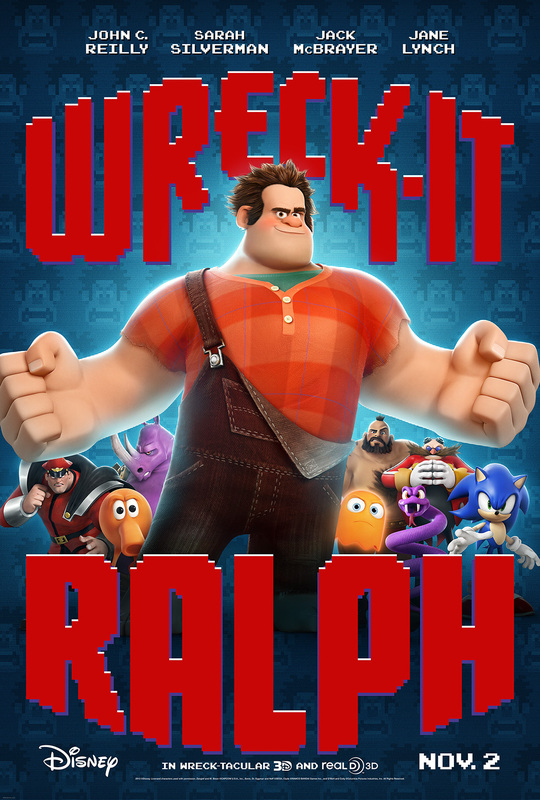 On the Wreck-It Ralph Facebook page, a new poster for the upcoming Disney movie has been unveiled. What has caught the attention of many is the addition of a certain Sonic the Hedgehog. 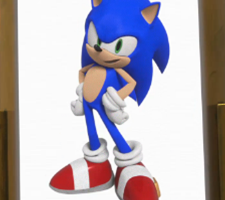 Rich Moore has not only confirmed Sonic’s appearance in the film, but generously showed fans a clip of the film back at Sonic Boom, where Sonic is seen giving a public service announcement not too unlike those of the old Adventures of Sonic the Hedgehog cartoon. However, the new poster, along with a recently released Japanese trailer for the movie (viewable after the jump! ), seems to suggest that Sonic just might be playing a much bigger role in this theatrical love letter to retro gaming. Wreck-It Ralph will premiere in North American theatres on November 2nd. Ralph is also a playable character in the upcoming Sonic & All-Stars Racing Transformed. Continue reading More Sonic in Wreck-It Ralph? A new trailer has just been released for upcoming Disney film Wreck-It Ralph, the story of a videogame antagonist who gets tired of being a bad guy and attempts to redeem his ways. For those not already in the know, the film will contain numerous cameos by famous gaming icons, including our very own Sonic the Hedgehog – who you can catch a very brief glimpse of in this trailer. Sonic’s cameo appears at around the 0:47 mark but be warned… blink and you’ll miss it! 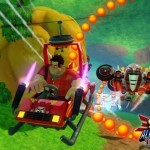 Doctor Eggman also makes a cameo appearance in the new trailer, which you can view over at Yahoo! Movies. 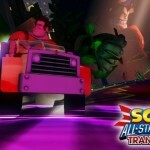 As previously reported, Sonic will be voiced in the movie by his official voice actor Roger Craig Smith, and Wreck-It Ralph himself will be starring alongside the blue blur as a playable character in Sonic & All-Stars Racing Transformed this holiday season. 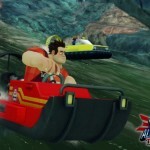 Wreck-It Ralph is due to hit cinemas in the US on 2nd November, and will make its way across the pond for a UK release on 15th February 2013. 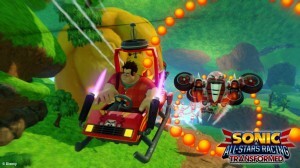 There have been whispers for well over a month now, but in a report from Entertainment Weekly, it looks like our favourite villain, Doctor Eggman, is set to feature in Disney’s up-and-coming videogame homage “Wreck-It Ralph”, a story of a videogame antagonist looking to change his ways. Jetix, the UK TV station that owns the rights to Sonic X, has recently been rebranded by parent company Disney in a bid to improve ratings. The move has resulted in the channel being renamed as ‘Disney XD’ and features a combines real-life Disney drama with cartoons on Jetix’s old schedule such as Pokemon: Battle Dimension. In the US, 4Kids Entertainment – the anime localisation studio that doubled as a programming block on Fox television until December 2008 – has put itself up for sale according to paidContent.org. The move follows a dismal performance of the business, in which a recent report reveals that the company’s last profitable year was Fiscal Year ending January, 2006. 4Kids are reported to be going through a selective bidding process. The implications on the animation Sonic X, and the Sonic franchise in general, could be massive. In Europe, Disney has owned the Jetix channel since 2001 – the aforementioned XD channel launch seems merely like an exercise in assimilation. However, Jetix owns the merchandising rights to the entire Sonic the Hedgehog franchise in Europe, following a contract discrepancy with Sega in 2003. With Jetix merged, this opens questions as to whether Disney absorbs those rights or whether the contract defaults back to Sega Europe. Back in North America, it will be interesting to see who ends up buying 4Kids and thus owning the rights to the Sonic X animation. With Disney’s move in Europe, it would be rather ironic to see the House of Mouse buy the company and complete the set of Sonic the Hedgehog cartoons (thus far Disney own the rights to SatAM and Sonic Underground – it is assumed they own Adventures of Sonic the Hedgehog too). Far more worrying a prospect is if 4Kids never finds a buyer, but with a portfolio including Pokemon and Teenage Mutant Ninja Turtles there’s a slim chance of that happening. Who would you like to see own 4Kids? Do you think Jetix’s disappearance is good or bad for the future airing of Sonic X? Speak out in the comments section. Yu-Gi-Oh! & Cabbage Patch Kids U.S. Parent 4Kids Entertainment For Sale – paidContent.org (via Anime News Network) – Thanks Ferno!